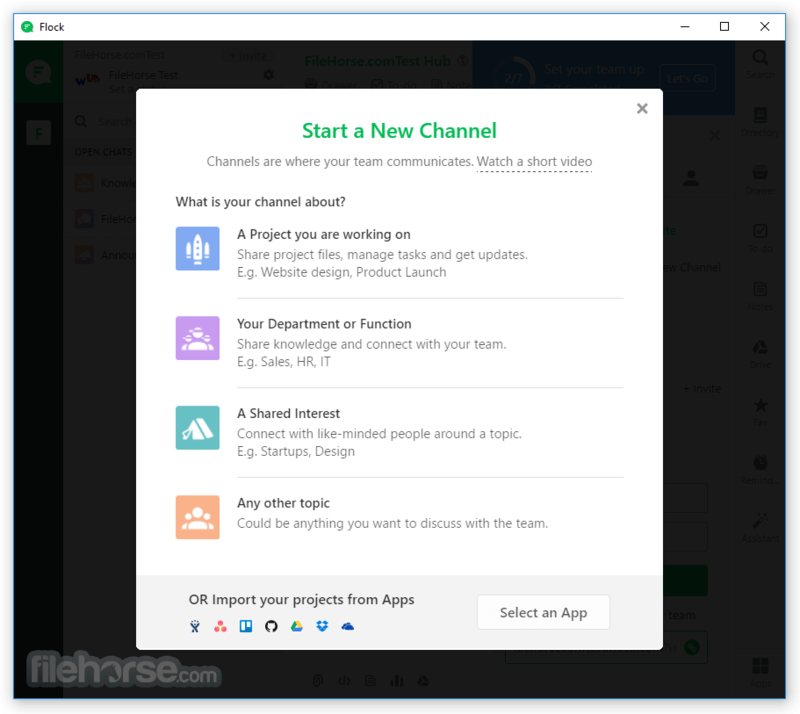 A faster way for your team to communicate about projects and ideas! 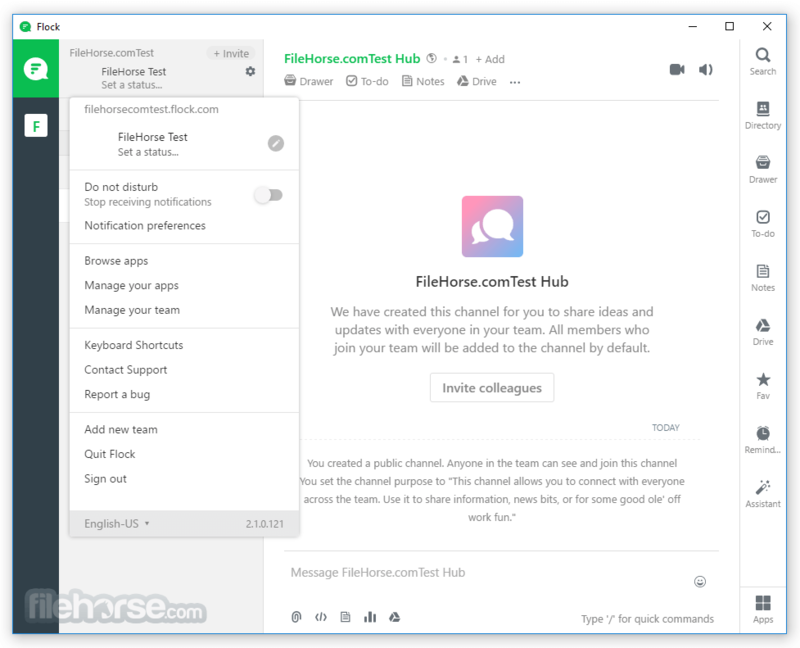 Flock is the best team communication app & online collaboration platform for Windows PC, comes with team messaging, project management and other great features that improve productivity and boost speed of execution. 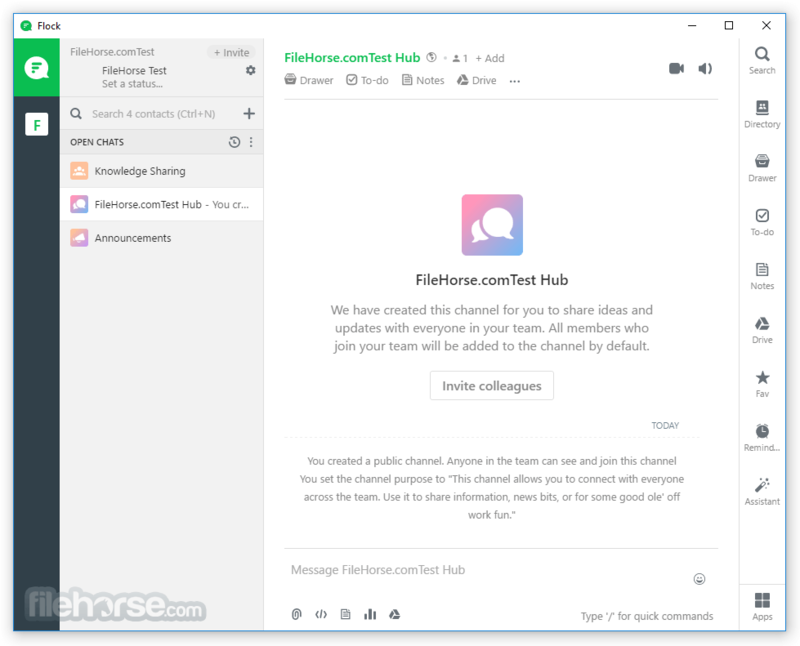 Flock users have reduced their dependence on email and use Flock`s messaging platform to share important updates, files and send messages. 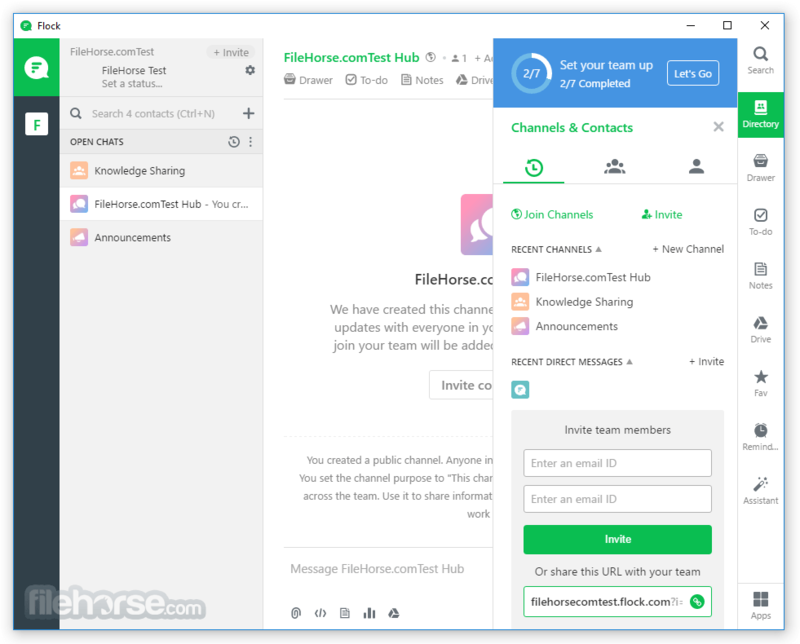 Flock users spend less time in meetings and more time getting things done. 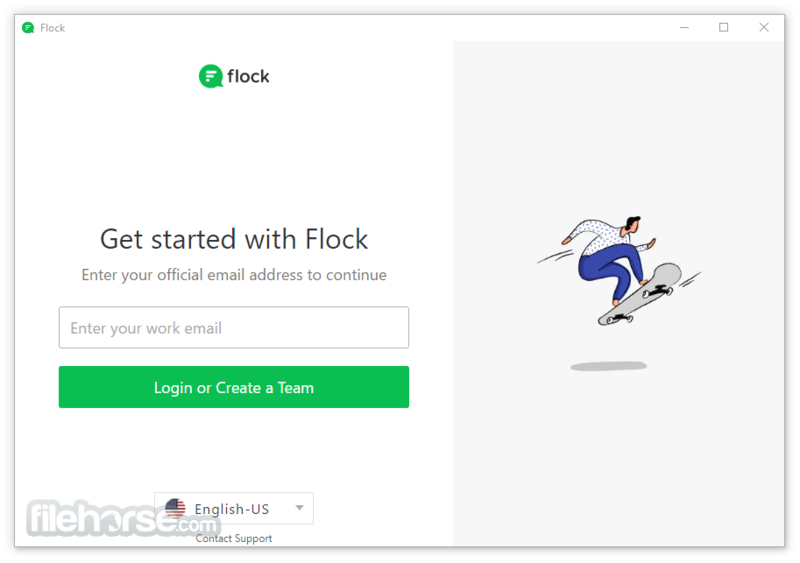 Flock provides its users with business collaboration tools making task management and decision making more efficient.